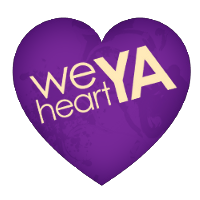 We Heart YA: Is the book blogosphere too nice? "if you spend time in the literary … blogospheres, you'll be positively besieged by amiability, by a relentless enthusiasm that might have you believing that all new books are wonderful and that every writer is every other writer's biggest fan. It's not only shallow, it's untrue, and it's having a chilling effect on literary culture"
"social media's centrifugal forces of approbation — retweets, likes, favorites, and the self-consciousness that accompanies each public utterance — make any critique stick out sorely"
"biting criticism has become synonymous with offense; everything is personal — one’s affection for a book is interchangeable with one’s feelings about its author as a person. Critics gush in anticipation for books they haven’t yet read; they <3 so-and-so writer, tagging the author’s Twitter handle so that he or she knows it, too; they exhaust themselves with outbursts of all-caps praise, because that’s how you boost your follower count and affirm your place in the back-slapping community that is the literary web"
So. Basically the writer's "thesis" is that everyone in the book blogosphere feels pressured to be nice -- i.e., to heap praise and give positive reviews -- and that means we don't know who's being genuine, nor whether a book is truly worth our time and money. I have my own opinions, but I'm curious: What do you guys think? "I’m sure most authors would hope people rate their book as four or five stars... But what people seem to forget is that 3 stars is still a good rating. On Goodreads it means you like the book, and in my review policy I label 3 star reads as 'Fun reads which I enjoyed, but are not particularly groundbreaking or dynamic.'" We really admire Ashley and other bloggers who are honest in their reviews, regardless of whether it's "nice" or not. Because of this, we trust their opinions more (even if our tastes differ) and we always read what they have to say, even when our Google Reader is overflowing. - Younger teens seem more authentic, more willing to voice negative impressions. (Like the wonderful "spies" over at YA Confidential.) Maybe it's because they're not as entrenched in the blogosphere and/or don't know the "etiquette" yet; or their limited participation shields them from the pressure; or they don't have writing/publishing aspirations so they're not worried about making enemies or burning bridges. - What about the flipside: snarky reviewers? Are they cool, funny, helpful? Sorry folks, this is getting long. Let me close with some of my own opinions, and a re-statement of We Heart YA's policy on reviewing. Honestly? Yes, I think there is a lot of pressure to follow the "if you can't say anything nice, then don't say anything at all" rule. I mean, there is even a site (which I refuse to link to) dedicated to finding negative reviews and bullying the people who wrote them. So as we developed this blog, we decided that we were going to DISCUSS books, not review them. We don't give ratings, but we do try to "talk up" books that we enjoy, usually in the context of a larger topic. We also want to stress that just because we didn't like a book doesn't mean that (a) it's "bad," or (b) it didn't make us think or we didn't get anything out of it. ALSO, just because we mention or give away a book doesn't mean we loved it. In other words, we don't give an opinion on every book we mention, but if we DO give an opinion, it's truthful. This is the way we've found that works for us. Others will find other ways that are comfortable for them. "A better literary culture would be one that's not so dependent on personal esteem and mutual reinforcement. It would not treat offense or disagreement as toxic. We wouldn't want so badly to be liked above all. We'd tolerate barbed reviews, some quarrels, and blistering critiques, because they make our culture more interesting and because they are often more sincere reflections of our passions." Do you feel pressure to be nice? Do you think it's "mean" to give books bad reviews? What's your average rating? You all know my opinion on the whole 'too nice' issue. :) I choose to be honest, but a lot of times I end a review with something like 'not my cup of tea, but maybe it's yours'. That's not mean, just honest. In general, I tend to mostly give three-stars in Goodread, even though lots of people give books five stars normally. Three stars should be average, even if I bringing down the rating of a good (but not exceptional) book. I feel like there is a lot of pressure to be "nice" with book reviews in this community, but I also see that many of the books that sell well have scathing reviews. Look at 50 shades of Gray or any of Amanda Hocking's books, for example. Bad reviews can certainly hurt an author's feelings, but they won't necessarily hurt sales. That said, I still try to be nice and I won't post a very negative review on my blog unless it's an old book. I would never personally attack an author, but I would note bad writing or editing or even a disappointing ending, which I don't consider to be the same thing. Anyway, the "no publicity is bad publicity" saying sort of holds true, in my opinion. I mean, look at Twilight. I apologise if I'm being too analytical, but I feel like people should always be nice. But I don't mean it the way it's being used here. I'm defining 'nice' as engaging with others (and thus the material of others) in a way that's respectful. In that way you can respectfully disagree with a book or themes in a book and not get caught up in any debate about propriety or always wanting to give out highly rated reviews. I created my blog because I loved books so much that I wanted to share that love with others. 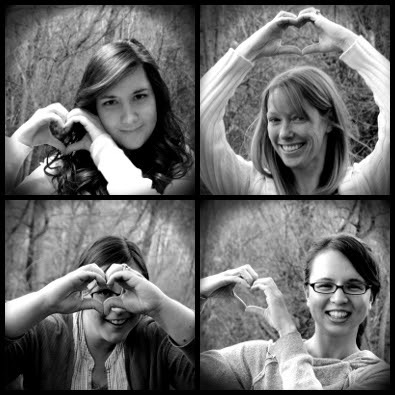 And the best part of the blogosphere (aside from the amazing people - hi, ladies!) is being able to view things from a perspective you might not have been able to see by yourself. That shedding light on new ideas is why I'm here. If we all gushed about a book in fear of slighting someone then we would only really need to have one collective blog. Bloggers have great insight and perspective and that's what I love to see. And when we're nice and when we're respectful we can write a truly honest opinion without worry. Love this post. It's an idea that's gone through my mind several times, but I've never really forced myself to give a definitive answer. I think in a way I agreed with the essay when I think of when I first started blogging. Everything was rosy, I was barely 13 and it's not that I thought that being nice would get be followers, it's that I thought that that state of being perky and smiley was normal. It got exhausting after a while though- who the heck wants to be nice all the time? Forward two years and a lot has changed with my life and my worldview. I'm a bit more selfish now in the sense that sometimes I really don't care what other people think of what I do. My reviews have slowly evolved from the cheerful teen speak to the more critical approach, and even my ratings have changed (read: dropped). I haven't posted most of my reviews from last year, so even looking through them & editing sometimes I delete stuff because it's too much. My average rating on Goodreads has also changed. I can't remember the last book I gave 5 stars too. I've changed my policy to making it extremely rare. I disagree with the essay though in the sense that while I don't think everyone should be trying to be so nice and sweet all the time, but I don't see any reason ever to be "biting". If I don't like something than I'm disappointed. But probably the most important thing I've learned from blogging is that everyone has different tastes so people will not always love what I love and I will not always love what they love. I blog because of my love so obviously I'll post a lot about stuff I''m happy and excited about than stuff that upsets me. I don't like the tone of the essay though. Some people are just like that- they constantly tweet about what they <3 and I don't think anyone has a right to tell them not to be themselves. If the point is to be a diverse community, people shouldn't stop being nice because other people think they're too nice to the point of faking it. And I probably could continue but I've rambled on way too much. Sorry bout that- I'm writing before bed so my thoughts are a bit all over the place. Thanks for the mention. =) I was actually just looking over my post because I got a new comment. Sonia replied to my post and she actually does worry about rating books too highly -- sometimes she feels like her reviews won't be seen as true because of liking most of them and giving them 5 stars. I think it comes down to authenticity -- if you love books or only review positively, then that's awesome. But if you're a bit less likely to gush (where I categorize myself), then that's fine too. It's about being true to how you feel, and for me I think it's always about being respectful while being honest. Recognizing that more the most part even if you don't care for a book there's probably something good in it that other people will adore. I feel like the book blogosphere is kind of all over the place. You do have those people who only care about getting free books and just give false positive reviews to everything, and you have those people who write ridiculously harsh reviews that bash not only the book but the author too. Thankfully I think most people are in the middle and do give their real thoughts, whether they're mostly positive or perhaps a bit more cautious in doling out praise. Haha I think you already know that my average rating isn't very high. Right now it's at 2.64. And here are my thoughts on negative reviews. To answer your question, yes, I do feel like there is a pressure to only say nice things in the book blogosphere. There have been times I've disagreed with certain blog posts and wanted to offer a dissenting opinion, but refrained, because the "be nice and positive" culture is so pervasive. When someone does say anything critical, especially in an impassioned manner, they tend to be seen as contentious, jealous meanies. I don't really like that since I think it decreases the quality of discussions. Sometimes I try to say things on my own blog instead, but I still manage to feel like a meanie whenever I say critical or negative things about books or authors. I really hate the idea that only nice things are ever worth saying, or that being nice is more important than being truthful or useful or relevant or thoughtful. I think it's a ridiculous principle to live by, but a lot of people seem to be very fond of it. I also dislike the emphasis on positive reviews since reviews do influence me as a reader. There tends not to be many negative reviews for hyped books until it reaches a certain popularity threshold. Before that point, negative and positive reviews don't really balance each other out -- especially since it's uncomfortable to voice an unpopular opinion, and DNF reviews are sometimes seen as less valid. Which means I end up thinking I'll like a certain book because there are only or mostly positive reviews, but then I don't, and that is always disappointing. And I love snark, but I'm too much of a wimp to use it very often myself. Sigh. :( Also, I dislike that people seem to think emotional reactions to books are only acceptable if they're positive. Otherwise you're just a hater. Ugh. I don't know if I write the greatest reviews, or even good reviews, but I do try my absolute best to be honest. I don't rate everything 5 stars, and I don't rate everything 1 star. However, even if I don't like a book, and have a lot of issues with it, I don't bash the author. As an aspiring writer, I know and understand the work and effort and feelings that have gone into writing it, and I acknowledge that it isn't the book FOR ME. I try to explain why I didn't like it, and what I thought the issues were. I do think, sometimes, that bloggers are too positive. When I see nothing but 5 star reviews on a blog, then I may not go back, or read it all the time, because I don't think that blogger's taste will jive with mine. My average Goodreads rating is a 3.66, and I haven't been keeping that up to date, so I think it would go a little lower if I had my recent reviews up. I don't see 3 star reviews as a bad thing -- 3 stars for me is an average book, one I enjoyed, but probably wouldn't read again. We all rate differently, and so I think having an explanation of your ratings on your blog is important. Which reminds me I never did post mine; I'll have to remedy that. Sometimes I'll admit, I feel intimated if I post a lower rating for a book that has almost all positive ratings. This is mostly true for Amazon Vine books. In an entirely unscientific poll, I feel like when I rate a book lower than 3 stars, I get more votes that my reviews aren't helpful. Meh. Can't please everyone, and I'm not trying to. Lastly, I've actually considered rereading books I've already reviewed, to see if my opinion of them changes. After a significant length of time, usually a year plus. I too think 3 stars "should" be average, and that there's NOTHING wrong with average! Very good points. I agree that "too nice reviewers" aren't doing too much harm. My concern, though, is whether or not they're being too nice because they ARE that way naturally, or because they feel they HAVE To be. Yes, there's a big difference between "nice" and "always gushing." Just as there's a difference between "critical" and "mean." The question is (in my mind, anyway): Does the blogosphere encourage the right ends of those spectrums? "I don't like the tone of the essay though. Some people are just like that- they constantly tweet about what they <3 and I don't think anyone has a right to tell them not to be themselves." Good point: the readers who are easier to please have to face the flip side of this distrust issue. I'm not sure I have any suggestions for them, except to not worry about things as long as they're being honest. "I really hate the idea that only nice things are ever worth saying, or that being nice is more important than being truthful or useful or relevant or thoughtful. I think it's a ridiculous principle to live by, but a lot of people seem to be very fond of it." I used to subscribe to it, but as I've gotten older, I've definitely started swinging the other way. I guess I think the "best" principle is delivering the truth tactfully. "Also, I dislike that people seem to think emotional reactions to books are only acceptable if they're positive. Otherwise you're just a hater. Ugh. " And ugh, don't even get me started on the Amazon voting issues... That's a WHOLE other ranty post of its own. When I'm reading reviews, I purchase books based on the 3 star reviews. And if there aren't any, I look for the 4 star reviews that shed some light on the book. I don't look at overly negative or positive reviews. But usually, I've found, if there are all 5 stars for a book and enough of them (past the author's circle) ...it's for a reason. It's a great book. And I honestly don't think there ever needs to be snark or nastiness.